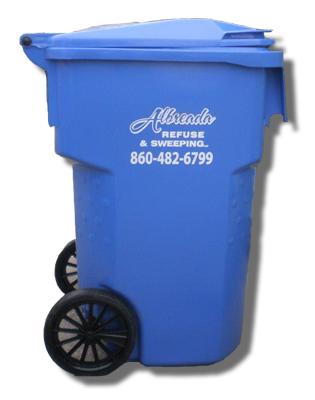 Albreada Refuse is pleased to have Single Stream Recycling for every client in Torrington, Connecticut with curb recycling/refuse. This ingenious dividing mechanization lets clients place every piece of recyclable in one recycling container, including paper, metal and plastic. With this technology, Albreada is able to recycle much more substances than in the past, diminishing the strain on the environment and conserving important assets. 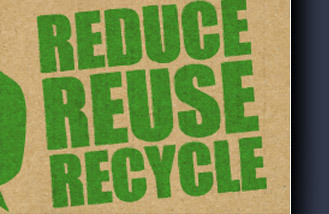 We supply our clients in Torrington, Connecticut with recycling bins which are large so that our pick-ups are bi-weekly. This way we can decrease emissions, generate smaller fuel waste and reduced noise pollution, all of which benefits the environment and clients. Bins should be put outside prior to the pick-up day. Bins must be 3 to 4 feet from all objects, which includes other carts and within 2 feet of the curbside. All recyclables should be placed in a single stream bin.